Cruise lines have a duty to maintain safe conditions for their passengers while they are traveling. If a passenger is injured due to a dangerous condition on a cruise ship, that passenger may be able to file a claim against the cruise line and recover damages. 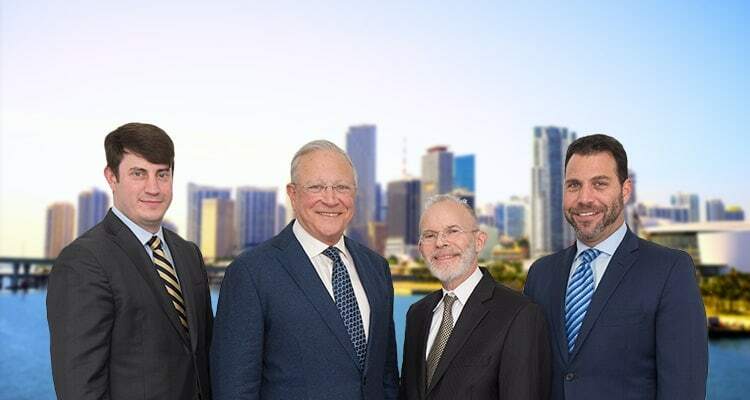 At Gerson & Schwartz, our South Florida cruise ship injury attorneys have experience in a variety of claims and know how to fight the cruise lines to obtain the compensation our clients deserve. Cruise lines often have hundreds of sliding glass doors on their ships. These sliding glass doors may lead to pool areas, to restaurants, to entertainment areas, to bars, and to a number of other common areas on the ship. If these doors malfunction, passengers may suffer serious injuries. Many passengers have been injured by sliding glass doors on cruise ships. If sliding glass doors do not open or close as they are supposed to, a passenger may suffer a serious fall, or may hit his or her face and head on the door. In some cases, these malfunctioning doors have caused permanent injuries. Cruise lines have a duty to maintain safe premises for their passengers and crew. The ships in a cruise line’s fleet should be regularly inspected to ensure the ship is safe enough to transport passengers. This includes checking all sliding glass doors to make sure they are operating properly and that they do not need any repairs. If a cruise line fails to have its ships regularly inspected, it may be liable if a passenger is injured, since the cruise line failed to maintain a safe environment for its passengers. Similarly, a cruise line must make any and all repairs that are necessary for the safety of its passengers. If a cruise line has notice that a sliding glass door on one of its ships needs repair and it fails to repair that door, a passenger may be able to recover damages if he or she is subsequently injured by the sliding glass door. Once an investigation begins into a sliding glass door injury claim, the passenger’s attorney may discover that there have been multiple incidents involving this particular sliding glass door. If this is the case, it is evidence that the cruise line had adequate notice of the dangerous door and failed to repair it. The more incidents that have been reported on a cruise ship, the more likely it is that the cruise line will be responsible for any injuries that result from the defective door. If you have sustained an injury while aboard a cruise ship due to negligence or unsafe conditions, it is important that you seek the legal opinion of an experienced cruise ship injury law attorney. All cases involving personal injury while aboard a cruise ship will fall under unique state, federal and international laws. The time in which you may file a claim is also limited according to these complex and unique set of maritime laws. In most situations, an injury victim has only one year from the date of the accident to file for monetary compensation. If you or a loved one was injured by a sliding glass door on a cruise ship, you may be entitled to damages. Call (877) 475-2905 or visit injuryattorneyfla.com to schedule a free consultation to discuss your potential claim. Our attorneys have a track record of success in cruise injury cases.